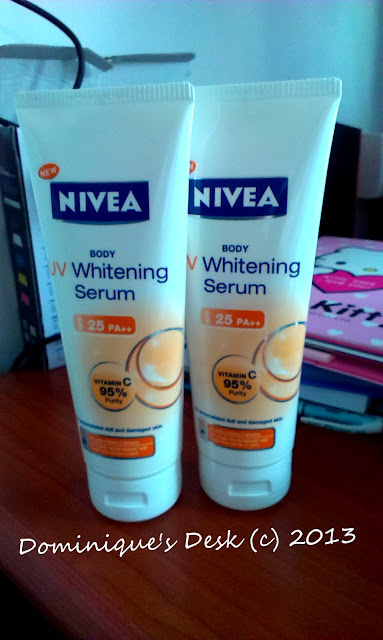 14 days ago I embarked on the 14 Day Challenge with NIVEA Body UV Whitening Serum. Since the start of the challenge I have been applying the serum on both my hands and legs twice a day. The kids were on holidays and we had lots of outdoor activities to occupy them. We hit the pool many times as they loved the water and enjoyed being on the different water rides at the pools that we visited. We also went to parks and went on bicycle rides too. We traveled overseas to Korea and also visited many gorgeous places of interest on Jeju island spending most of our time in the sun. Within a blink of an eye 14 days have passed and here are the results of my challenge.As you can see in the comparison shot above my skin isn’t significantly lighter as compared to when I first started on the challenge. We were out in the sun a lot and I guess this made it harder for my skin to be fairer. 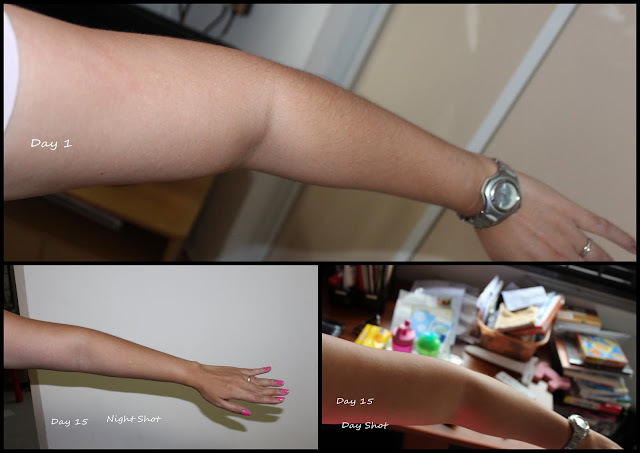 However after the applications I do feel that my arms looks more radiant and moisturized as compared to before. In the night shot above you can see that my arm still looks radiant and that the different color tones seem to have even out a bit. This is a product which I have enjoyed using and will continue using. It only takes a few minutes a day to apply the serum and you get SPF25 coverage from the sun. I do recommend however that you also use sunblock on top of the NIVEA Body UV Whitening Serum if you spend extended hours out in the sun like we did while we were on vacations. From 21st July to 15th August you just need to upload pictures of sunshots , outdoor activities that you do during the weekend, or your lifestyle when you are out of home onto your instagram account and use the Hashtags #NiveaSG #UVWhtSerum #Sunnyfun #Sunshine for a chance to win.